The Extreme Pak™ Cooler Bag with Zip-Out Liner is perfect for carrying your lunch, taking snacks and drinks to the park for the kids, or for packing cold items during the next car trip. The zip out liner is easily removed for cleaning. 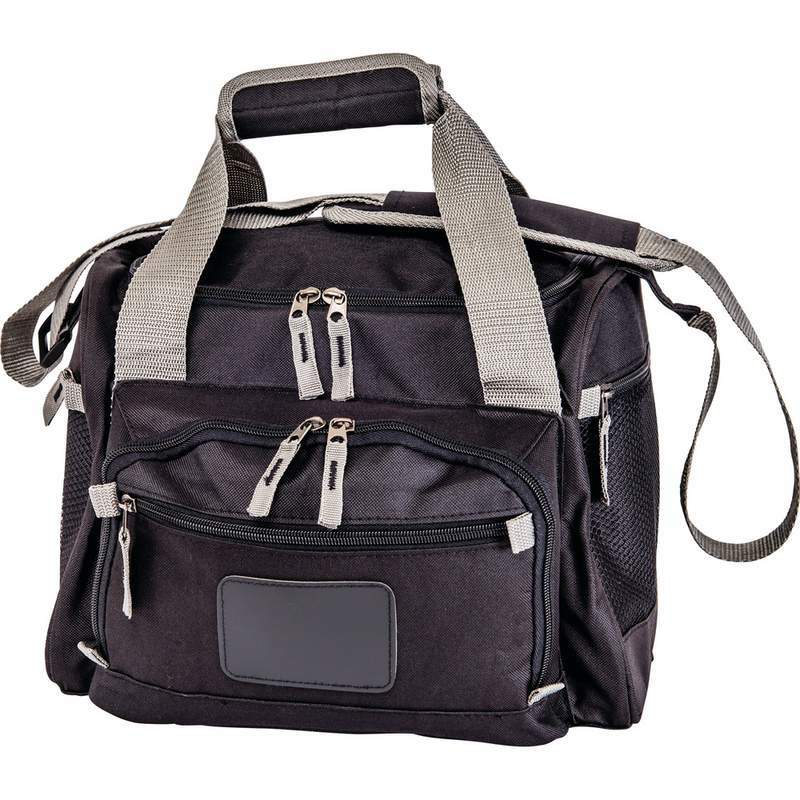 Cooler bag features 2 zippered exterior pockets, 2 zippered side mesh pockets, zippered main compartment, hand straps, adjustable shoulder strap, and polyester construction. Measures 12-1/4" x 9" x 9-1/2"